The community of Yaricoya belongs to the municipality (county) of Bolivar (in the department or “state” of Cochabamba); which is one of the 30 poorest municipalities in Bolivia. This puts Yaricoya in one of the poorest counties in the poorest country of South America. Yaricoya is an indigenous community located in a valley in the Andes Mountains 12071 feet above sea level. The community has a basic electric system that feeds only a few homes. It currently does not have a working potable water distribution system. Their main water source is a river that runs through the town. Unfortunately the river is downstream from the main town of Bolivar; which means it is contaminated, and the people in the community have no way of purifying it aside from boiling the water. Due to the fact that Yaricoya is located close to a river with seasonal flow, access to the community is extremely limited during the rainy season (Oct. – March). The mission is to improve the quality of life of the families of Yaricoya. 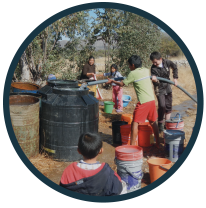 The greatest need is access to clean potable water in order to reduce Water Born Diseases. 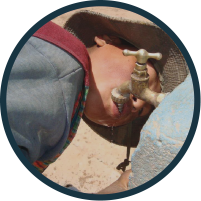 According to the WHO, diarrheal disease is the 3rd leading cause of death in Bolivia, and is a result largely of drinking contaminated water. This project was adopted by Memphis EWB Chapter in October 2011. Assessment trip has been scheduled for Summer 2012.